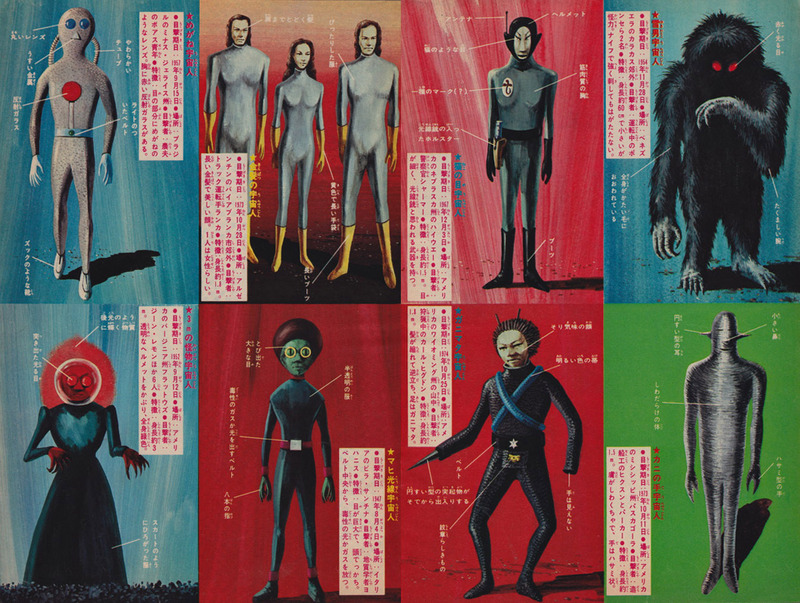 Here's an assortment of obscure alien illustrations (some originating in film and American cryptozoology) from a Japanese magazine for children dated back to 1975. 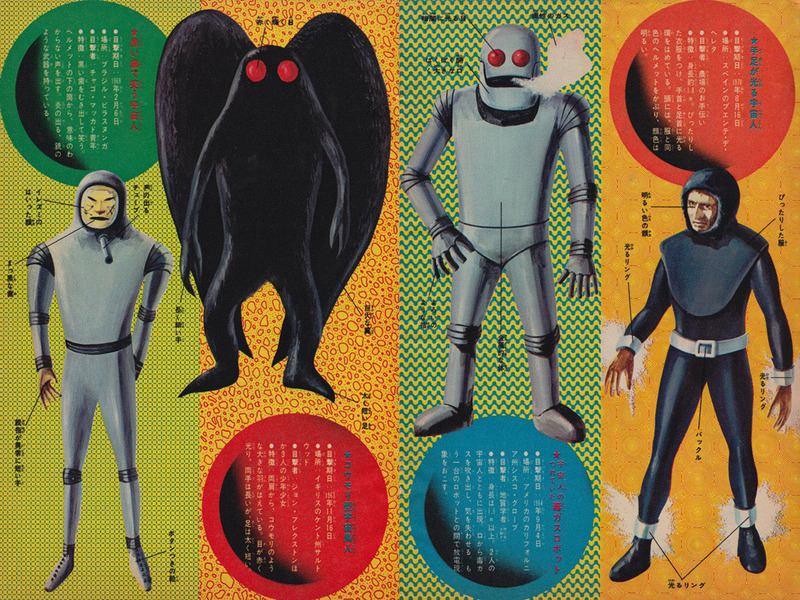 It is AWESOME seeing the likes of The Flatwoods Monster, Mothman, and the Hopkinsville goblins done up in the Japanese style. Man. I used to devour those UFO cryptid books as a kid. Very strange, but very good. Thanks. Which ones are from movies? I don't recognize any of them from specific movies. I kinda suspect these are all based on alleged eyewitness sightings. 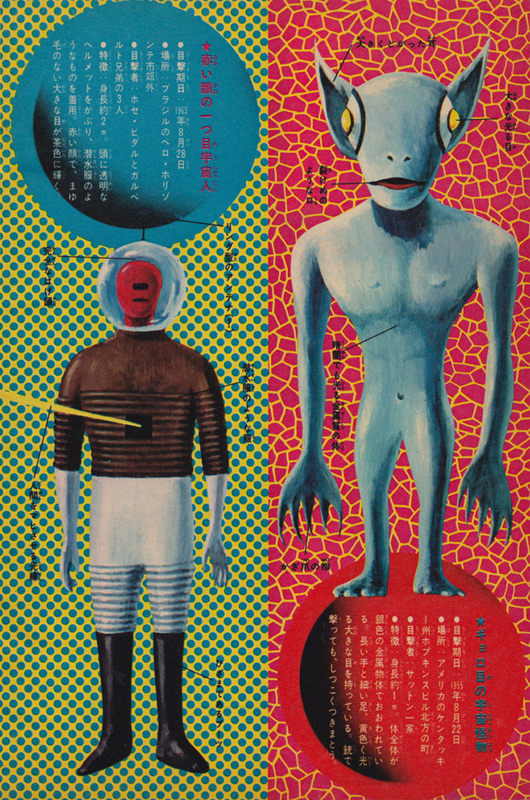 Before Close Encounters of the Third Kind aliens were a pretty diverse bunch. 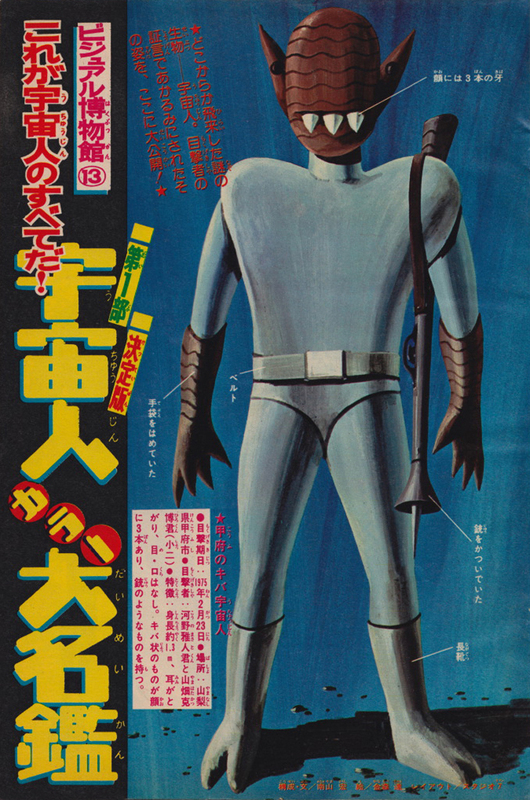 That movie really helped the "Grey" take over the popular conception of an alien.